Since last December, Benoît Ducos, a trained member of the ski patrol who provides emergency medical and rescue services in the Alps, has been volunteering his services to help migrants stranded in the mountains. Despite snow and freezing temperatures, migrants have been traversing treacherous mountain passes to cross from Italy into France. Ducos told InfoMigrants about how he rescued a woman who was eight and a half months pregnant and her family. 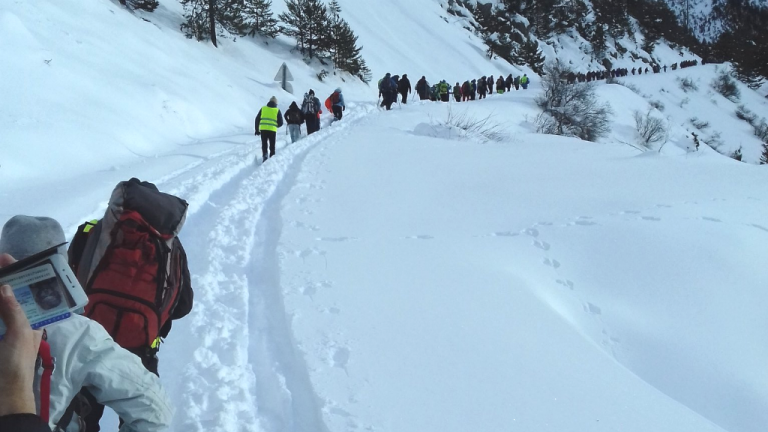 "On March 10 around 8pm, I was walking with another volunteer from Refuge solidaire [a local organisation that organises patrols to look for migrants in distress] near Montgenèvre. We’ve been going on these patrols every day since the beginning of winter to rescue migrants who find themselves in trouble after attempting to cross the French-Italian border on foot. We came across a group including a young woman who was heavily pregnant, her husband and their two small children (aged two and four). The family, originally from Nigeria, were with two other men who they had met in Italy. They took a train from Turin and got off at the station in Oulx. Then, they took a bus to Claviere, the last Italian village before the border. From there, they found a path to cross the border undetected. The spot where we found them is at an altitude of 1,900 meters. It was completely covered with snow and there was a huge risk of avalanches. The two friends were carrying the mother, who could no longer put one foot in front of another. The father was carrying the two tiny children. In English: "Break down the borders". A man is sued for rescuing a refugee who was about to give birth. Benoit Ducos risks up to five years in prison. We gave them clothes and new shoes because their feet were soaking wet. We gave them food and warmed them up with hot drinks. We talked to them, explaining what we were doing. But as we were speaking with them, we saw that the mother’s condition was deteriorating. We asked some questions about her pregnancy and realised that we needed to get her down to the town of Briançon as fast as possible because she seemed like she could go into labor at any time. On the way to hospital, she seemed to be in so much pain that I started to drive faster. That’s when we hit a police roadblock. I explained that I had found these people in distress, out in the cold and that I agreed to bring them to Briançon, where they could find shelter. I also explained that there was a pregnant woman in the group who needed immediate medical care. The police officers told that there was no way that I, as a man, could know if the woman was about to give birth, even though she was writhing in pain in the passenger seat from her contractions. We waited there for an hour and then decided to call an ambulance. The paramedics brought the woman to the hospital in Briançon, which was just 500 metres from where we were. The mother gave birth to a baby boy by Cesarean section. It would have been a disaster if she had given birth in the snow or in the car. While the woman was taken to the hospital, the father, the children and I were taken to the police station. I was interrogated for five minutes, then I was given a summons for a hearing with the border police [the PAF] on March 14. They told me that I had committed an infraction because I was transporting undocumented persons. I said that I was just helping people in danger. It’s obvious that if I hadn’t been there, the mother and her baby would have died. While the woman was at the hospital, the father and children were sent back to Italy. Eventually, staff at the hospital called the border police to demand that the family be brought back so they could be with the mother. 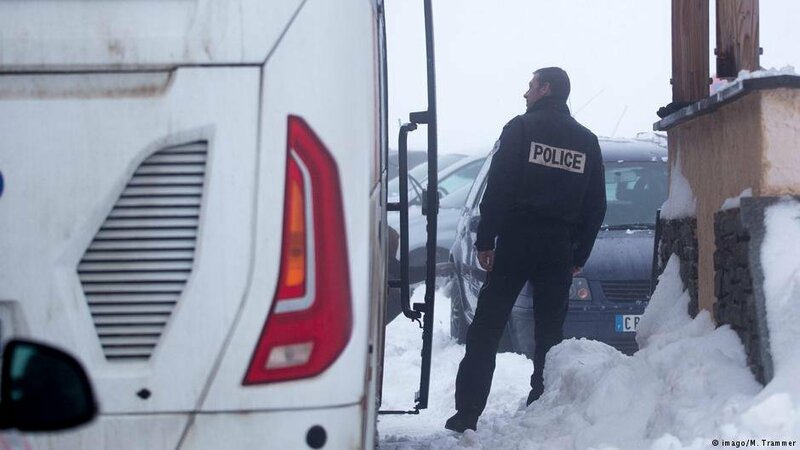 The PAF complied but local emergency services sent them to the town of Gap, which is more than 100 kilometres from Briançon. That’s not very humane either."